An early release Euro 6 prototype, Scania (2012) G440 with Low Profile Cheesewedge Plant Body. As a family run business, its always nice to work with someone that shares our values. 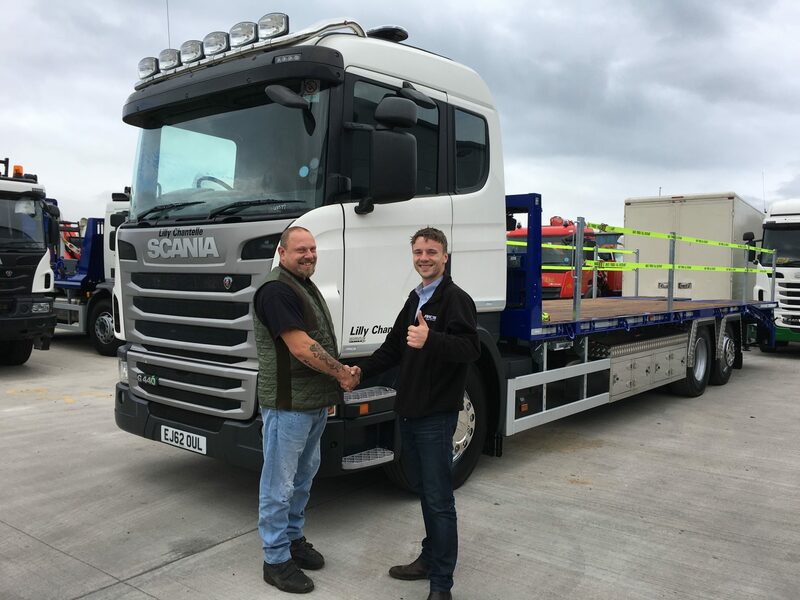 Mr Godden opted to have the names of both his wife, Chantelle and daughter, Lily sign written onto the truck which everyone in the office agreed was a lovely sentiment. We wish you all the best Paul and Happy Trucking!